They are permanent. Dental implants are composed of small titanium rods that are surgically placed into your jawbone. They slowly integrate themselves with your natural bone structure Once this process is complete, an artificial tooth is placed on the post, making it a restoration that can last a lifetime. Conservative. Some options for replacing missing teeth require neighboring teeth to be altered to make room for the restoration. With implants, neighboring teeth remain untouched. The implant helps keep existing teeth in place and prevents them from shifting. They are natural looking. 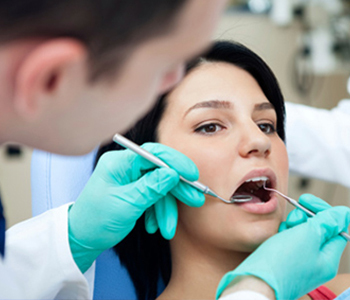 Implant restorations are custom fabricated to match the color and size of your existing teeth. Many patients report that their friends and family have no idea which teeth are implants. Improved functionality. Implants are as secure and durable as your natural teeth. You will be able to eat all the foods you love and you will not have difficulty speaking normally. Comfortable. When the implant fuses with the bone, it becomes a permanent part of your mouth structure, which means you don’t have to worry about slipping, shifting, or the need for readjustment. You don’t have to live with the embarrassment of missing teeth. If you are ready to replace lost teeth, dental implants can give you back the smile you once had. Call our Kennesaw office today to schedule a consultation and learn how dental implants restore your smile and self-esteem.